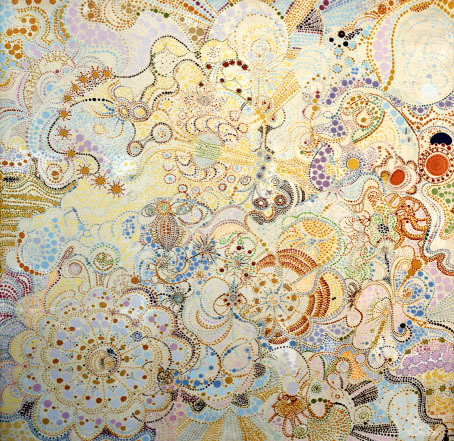 ​In collaboration with The Society for Art of Imagination, NYC & London, this QCC Art Gallery Exhibition: Visionaries highlights the works of Visionary Artists from the past to the present. The exhibit features the works of 40 national and international artists that represent the spiritual and growing movement, Visionary Art. 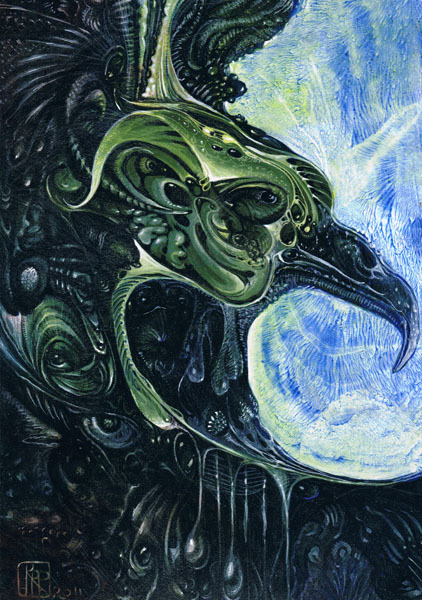 Visionary art is a journey, an inner journey of interconnectedness, into a world of extraordinary imagination, encompassing and exploring the qualities of light and dark with a universal and personal focus. Utilizing images that run the spectrum of the human condition, elation to desperation. From the heart rises fantastic and astonishing works of art! A new art world has emerged; we are witness to a burgeoning of creation. A new and exciting culture, not just an art movement; whose life stems from a central point of inner growth, development and experience into the deep and intimate exploration of spirit with visual expression as key to its understanding. An organic process of transformation occurs within the sacred and fertile inner world. It shifts from a meditative experience into a culture expressly manifested for the now and the future. It is the visionary who can create in this ‘place’ in a most compelling and extraordinary way! In early summer of 2011, Olga Spiegel, Miguel Tio and I embarked on the Visionaries exhibition. From its initial seeds to its fruition it has been an illuminating journey, filled with hills and valleys. As the garden grows so did this project. It has been an extraordinary privilege to glean this sampling of art and artists who are trailblazers. There is much to come, there is much to do, there is a distinct path to follow to a culture that not only expresses our inner and outer world of reality and dreams but also presents us with a future of possibilities. The Visionary tribe of artists has grown into a living, vibrant community of artists and free thinkers. It has shifted and morphed into something new and exciting. Not just an art movement but a lifestyle; a lifestyle that embraces art, and an inner life cultivation. It is a place of great discovery and inspiration. It is here that we enter into an exhibition of the most intimate of exchanges.